Today’s ink is a little more unique, Robert Oster Whisper Red. 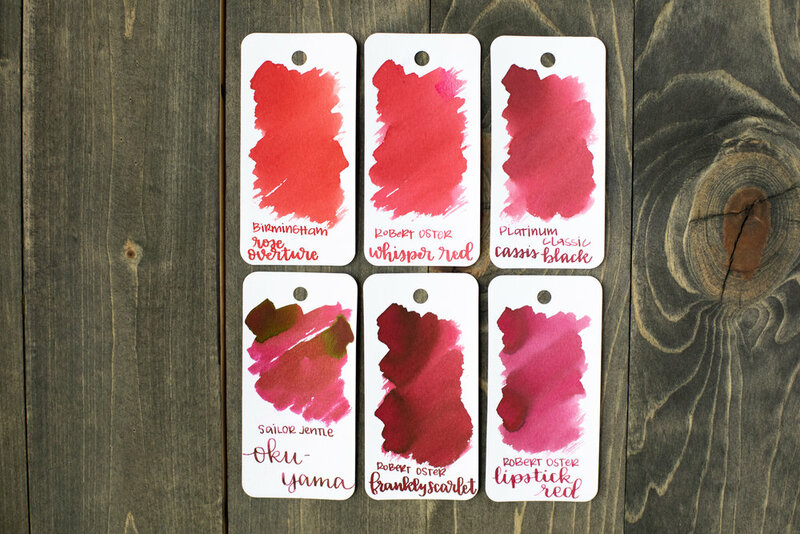 It’s interesting because there aren’t a lot of pastel red inks. I bought a sample of this ink and after trying it, I immediately purchased a bottle of ink from Pen Chalet. Whisper Red is a pastel, light red. It’s almost a dusky pink but has a bit more red than that. Birmingham Rose Overture and Platinum Cassis Black seem to be the closest to Whisper Red. Click here to see the Robert Oster inks together. I used a TWSBI Eco Blossom Red with a medium nib on Tomoe River paper. The ink had an average flow. Overall, I love how unique this color is. It’s a great spring red, which is hard to find. I’m glad I have a full bottle since I think I’ll use it often.